Its that time of year when everybody is beginning to unwind for Christmas. Everything is slowing down, which means its the perfect opportunity to take some time out for yourself. I’ve got three products to share that I love using when I want to have a bit of a pamper evening/relax myself. First up is the Kathleen Tranquil Fields Bubble Bath and Shower Gel*. If you’re someone who has a bath/shower before bed, I think this is the perfect product to use. Its lavender scent will help to relax you and get you ready for a good nights sleep. Personally I always find lavender super relaxing! Next up, one of two products you could use after hopping out of the shower. The Freshly Cosmetics Golden Radiance Body Oil* is a great option if you like something a little lighter on the skin. Theres something about body oil that just feels so luxurious and nourishing. This has a subtle fruity scent to it, nothing too overpowering which is nice. Your other option being the Lush Sleepy Body Lotion. I know how loved this is by bloggers and rightly so, its amazing. Another lavender scented product, perfect for bedtime. I love how quickly this sinks into the skin and how the scent lingers. I’ve heard people who struggle sleeping have found this really helps them out, so if you’re someone who struggles, I’d highly recommend giving this a try! 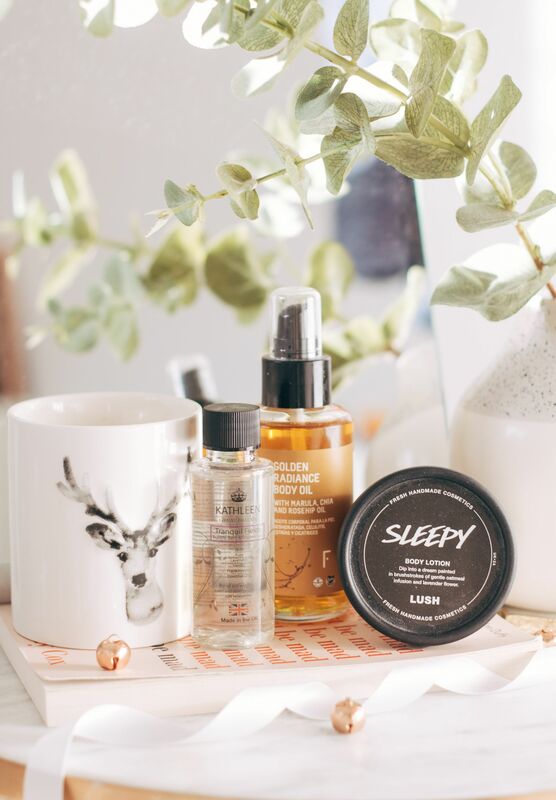 What are your go-to products for relaxation?